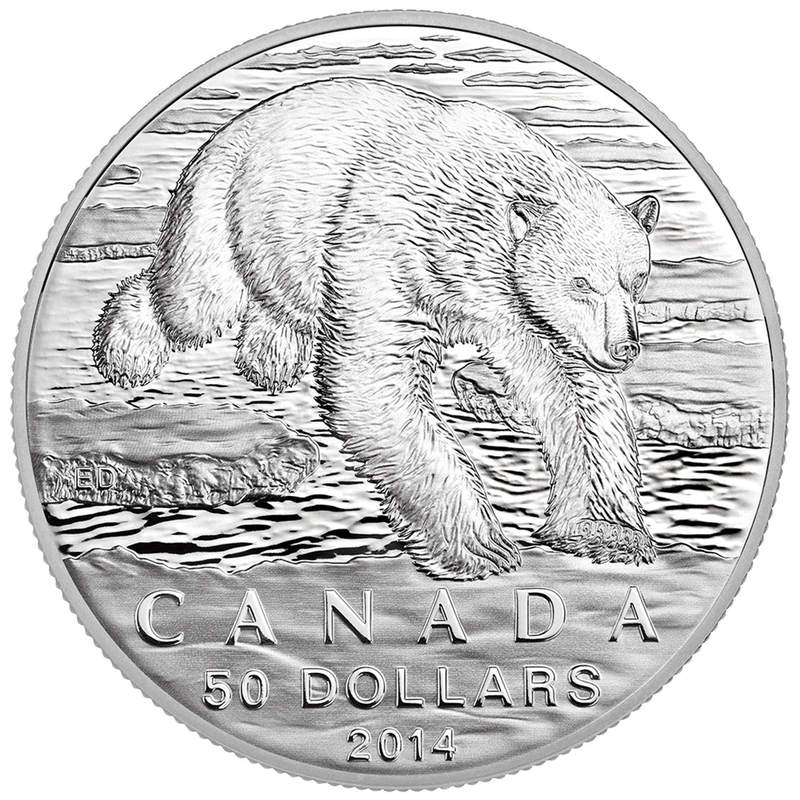 This half-ounce fine silver coin features a dynamic, rarely-seen depiction of a massive polar bear leaping across an ice floe on the frigid Arctic Sea. The polar bear is widely viewed as a symbol of power, courage, resourcefulness, and dignity, and to many it represents the essence of Canada. In a nation dominated by weather extremes, the Polar Bear's ability to survive and thrive in the harshest climate reflects Canadians' stalwart pragmatism and spirit of adventure. An almost-lifelike rendering of the rippling waters brings the surface of the coin a wonderful three-dimensionality, enhanced by a variety of engraving and finishing techniques. 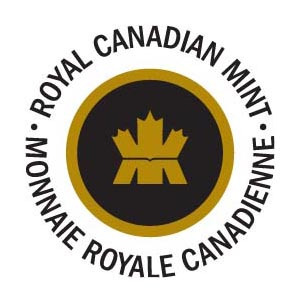 The finishings truly allow for the shading of the fur, ice and water to retain its faithfulness; this piece is a testament to the level of craftsmanship the Royal Canadian Mint is capable of. 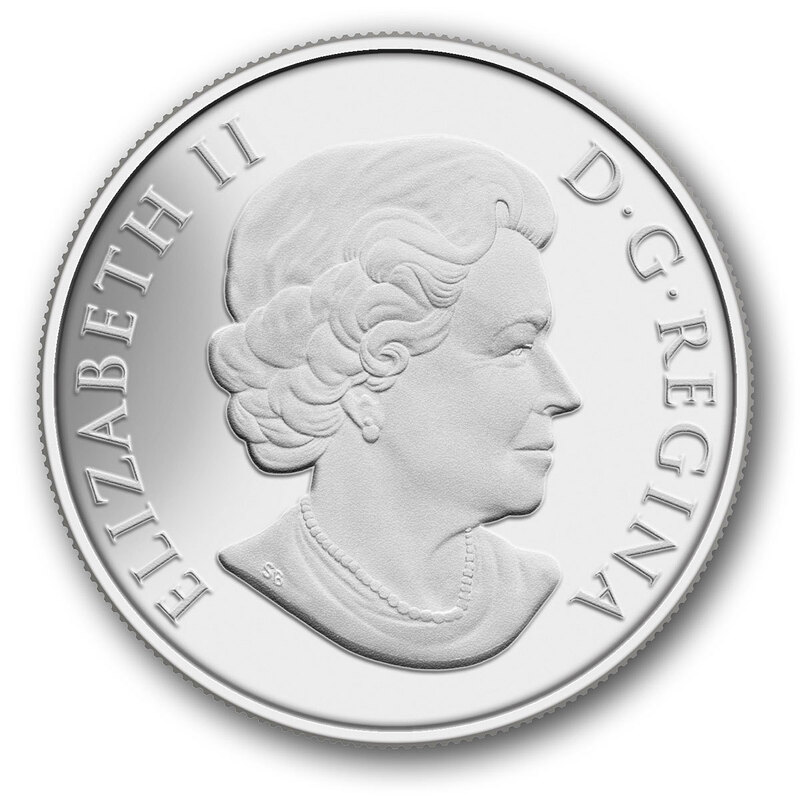 Struck in 99.99% fine silver, the high denomination of this matte-proof coin coupled with an affordable price ensure that this will be a popular item amongst collectors.